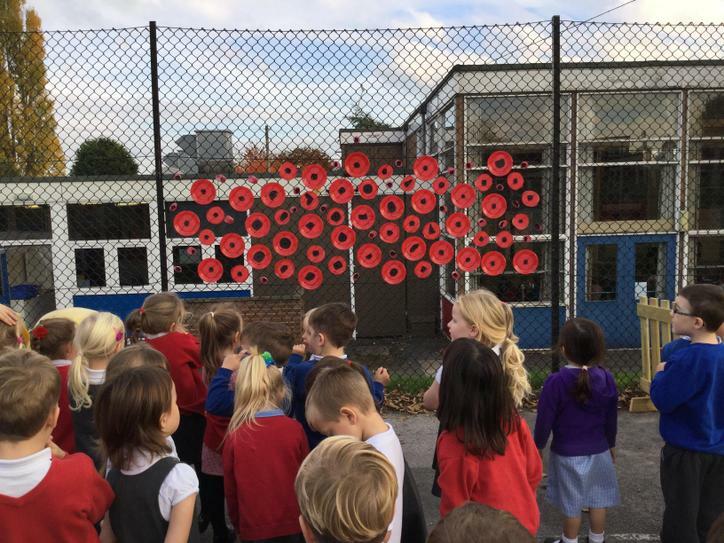 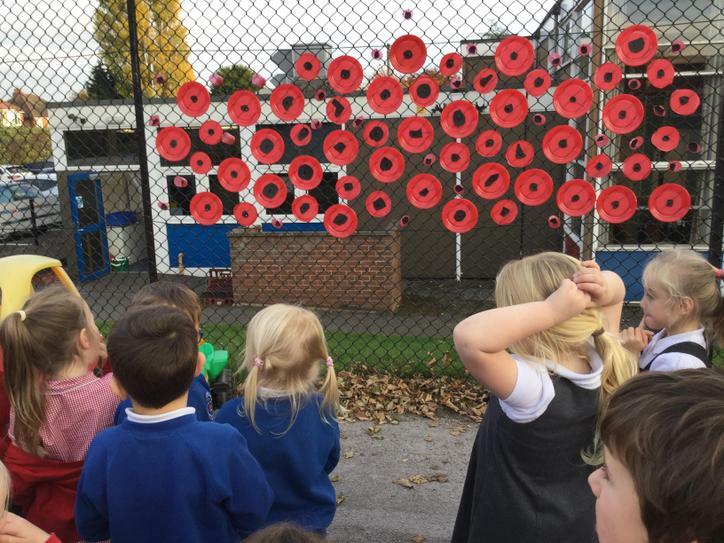 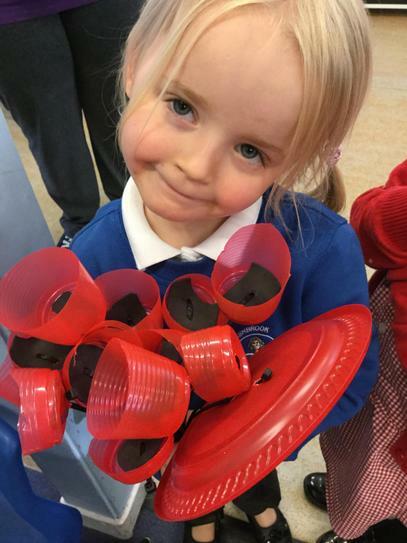 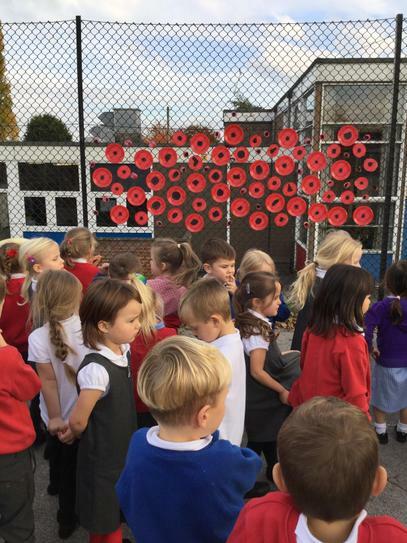 We have been thinking about what the red poppy means. 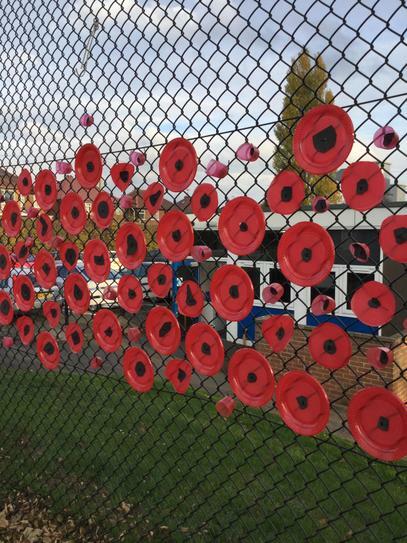 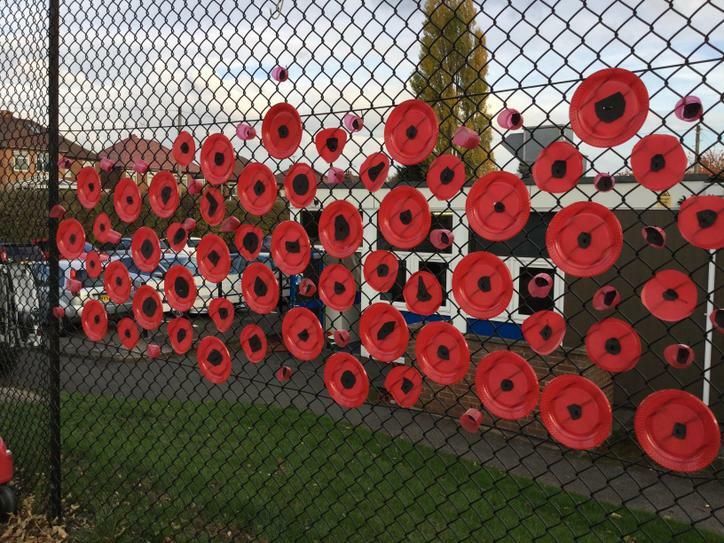 We have made eighty-three, one poppy for each life lost from Borrowash in the first world war. 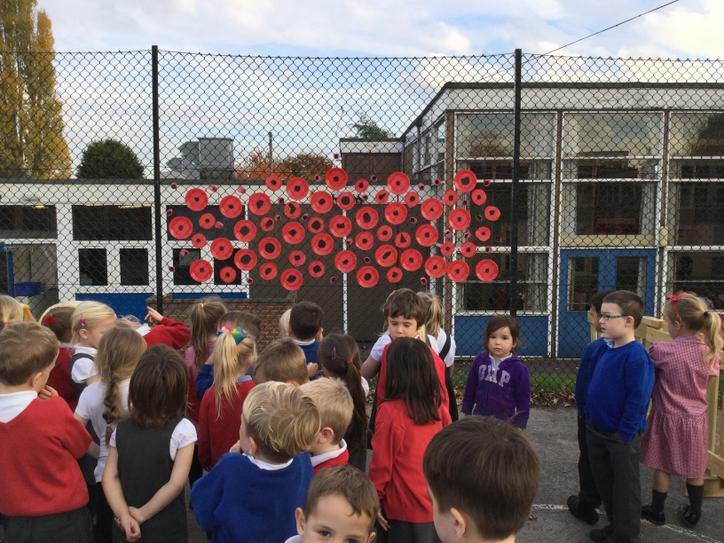 We have displayed them outside for everyone to enjoy.